If someone asked you, are you living the best version of your life possible, what would you say? Most people who are asked that question would probably answer no, or not yet. They would most likely find a million reasons why they are not, or haven’t quite gotten there. I’ve personally spent many years on a journey to living a better life. During that time, I read countless books, took classes, and made numerous changes to my outer world. I got divorced, lost a lot of weight, got remarried, went back to school, changed careers, discovered my gift of healing and connection, heck, I even had another baby. You name it; if I could change it, I did. In fact, not only have I reorganized my entire world around the possibility that I could be living a better life, but I also now dedicate my whole world to help other people do the same. I teach them NOT TO DO WHAT I DID! It doesn’t have to be so darn complicated. Most of us feel some level of daily discontent in our lives. Whether it is intolerable or just feels like something is missing, it’s there, lingering. The problem is that most of us don’t actually know that a “better life” is what we are looking for. Instead, we start trying to fill our “voids” or solve our “issues” by looking for quick fixes or solutions outside of ourselves. We lose weight, get a new job, sell our old house, buy a new house, buy new clothes, get a new haircut, leave our spouse or significant other, get a new spouse or significant other, change cities, change states, go on vacation, and so on, and so on. From my own external journey, the one where I looked everywhere but inside me, I have learned some pretty spectacular things. Most important of which is that I am called to show people a different way. I am meant to share my gift with the ones who are ready; the ones who are “done” living life on repeat and know deep down that there HAS to be something better. The people who finally understand that living a better life does not mean having more stuff or more money are who I am beckoned to work with. Therefore, if you even conceptually understand that a better life will never be found in anything outside of you, but rather begins and ends WITH you, then you and I should make time for further discussion. Living a better life does NOT have to be hard or arduous. It doesn’t have to take years as it did for me, and you definitely don’t have to go live in a cave and have some out of body experience to finally find happiness. In fact, all you need to do to start is two things. You need to give yourself permission to Experience JOY. During the next couple of weeks, I’ll be breaking my process down and sharing the downloads and guidance I received about learning to live a better life from my Spirit Team. This information is something I HAVE TO SHARE; It’s part of my mission and contract in this lifetime. So for today, ask yourself this. Are you ready to stop the cycles and move closer to what you want? Are you ready to give yourself permission to experience Joy? I’m looking forward to getting there with you...to your BEST LIFE EVER! 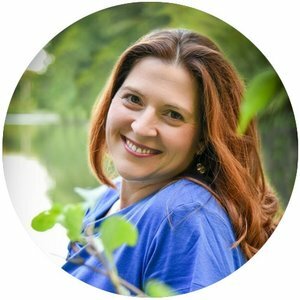 AUTHOR: Laurie-Elle is an OSYL Higher Self Messenger, Intuitive Energy Healer, Intuitive Guide, Akashic Records Channel & Reiki Master. Her main purpose in this lifetime is to help you hear the whispers, the cues, and yes, even the roar of the Universe. She shares the information that will lead you to more JOY, more ABUNDANCE and to experience a greater sense of PEACE in your life. Find out more about Laurie and her services HERE.